The race begins with a one-loop swim at the beautiful property development of Azuela Cove where they will go back for their first transition. They will then exit onto the main highway to start the 90km bike course. The fast, single loop bike course heads all the way to the turnaround point at Tagum City. Participants will then head back to Azuela Cove for the second transition. 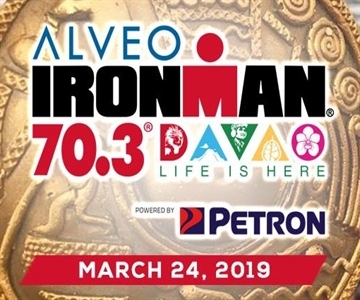 They exit out to the flat roads of J.P. Laurel Avenue towards the commercial district of Davao to complete the two-loop 21.1km run. Participants will be cheered by a crowd of spectators lining up along the streets until the finish line at the Azuela Soccer Field.